MOSCOW, Idaho – Whatever else Idaho sees when it opens the home season today against Western New Mexico, the Vandals will be facing a team that must really like football. The Mustangs endured a two-day, 1,371-mile bus trip from Silver City to get here. Each team will seeks its first win. Fresno State defeated Idaho 79-13, and WNM lost to San Diego 38-9. The Vandals should enjoy the kind of talent advantage against the Division II Mustangs that Fresno State had over Idaho. Several WNM players, however, have Idaho coach Paul Petrino’s attention. The Mustangs run a spread offense that features the talents of sophomore wide receiver Kourde Roberts. He had four receptions for 99 yards and a touchdown against San Diego. “He made three guys miss and returned it to the house,” Petrino said of Roberts’ 83-yard scoring play. Idaho, of course, wants to put the Fresno State drubbing behind it. Five interceptions and two blocked field-goal attempts returned for touchdowns put the Vandals at a tremendous disadvantage against the Bulldogs. But even when they did something well, they couldn’t seem to reap the benefit. Defensive coordinator Mike Breske noted a Kaden Elliss strip sack in which the loose ball fell into the arms of an FSU offensive lineman lying on the ground who should have been out of the play. Several series in the second and third quarters that resulted in about 300 yards of offense give Idaho something to build on, Petrino said. Rather than burn the game tape – which he acknowledged would be appropriate in some situations – Petrino showed it to his players. “We watched it Sunday. We’re so young, we needed to watch it. We needed to see it and learn from it,” he said. UI’s Connor Vrba, who started last year as a redshirt freshman at center in 11 games, will be available on a limited basis after missing the FSU game while he recovered from a heat illness suffered in preseason camp. He may get snaps at guard and center, but his playing time will be monitored to make sure his heat problems are behind him. Idaho spent more time in practice this week working field goals live to try to prevent the breakdowns that occurred against Fresno State. 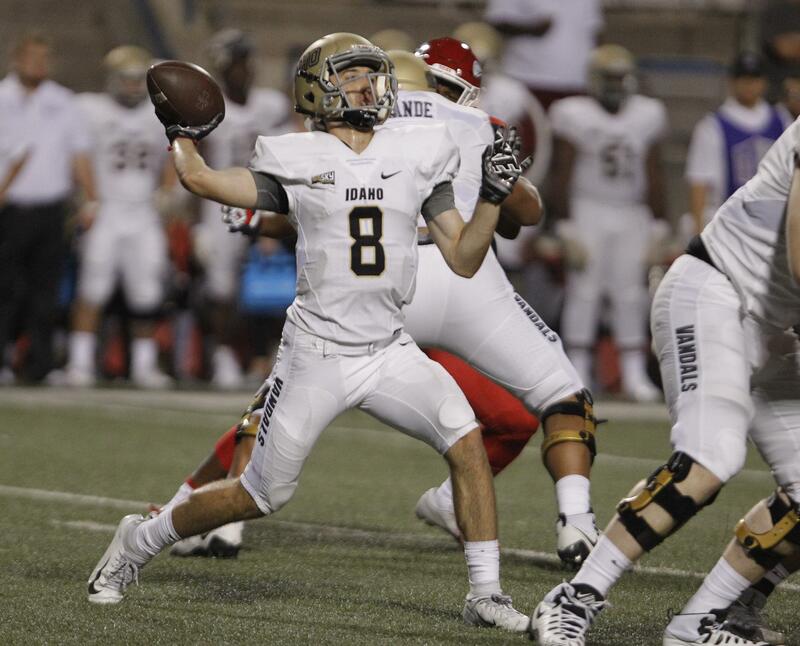 The Vandals will continue to use both Mason Petrino and Colton Richardson at quarterback. The experience against FSU didn’t yield any useful insight into how to use the two-quarterback system to catch a defense with the wrong personnel package on the field, Paul Petrino said. “I don’t think Fresno cared which guy was in there,” he said. Published: Sept. 7, 2018, 6:51 p.m. Updated: Sept. 7, 2018, 7:59 p.m.